We have carved a niche amongst the most trusted names in this business, engaged in offering comprehensive range of Cardamom Husk to our customers. 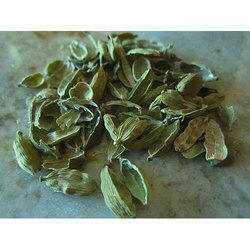 This Cardamom Husk is carries the taste, flavor and aroma of Green Cardamom. Offered products has taken application in grinding sweets, blended spices etc. 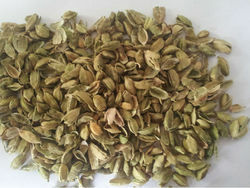 Being the well-distinguished companies in the market, we are into offering Cardamom Husk. Owing to the rich industrial experience and expertise in this business, we are engaged in providing Cardamom Husk.